Making full use of the good weekend weather, I had decided to set myself a challenge and to ride up to the top of Creech Hill, via Old Harry Rocks, Swanage, Corfe Castle and Kimmeridge. On paper, or at least on the map, it looks very easy. On the road, it is a rather different matter. I’m getting used to the undulations on my usual training route, so there were no surprises between home and the foot of the mount at Corfe Castle. But taking a left off towards Kimmeridge, instead of the right turn back towards Studland took me into a world of uncertainties. The road to Church Knowle is very picturesque and does have a few ups and downs. St. Peters church, as you might expect, marks the high point of the village and The New Inn looked very inviting as I set off towards Steeple. 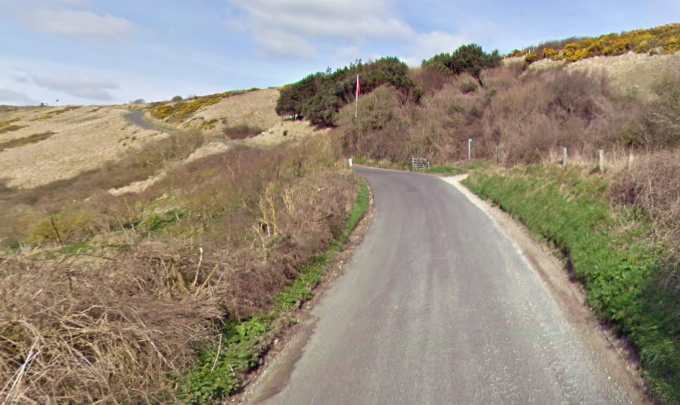 The real test, as I found out all too soon, was the climb out of Steeple towards the top of Creech Hill. It starts slowly, but gets steeper and steeper as you go on. I was encouraged on my way by a group of cyclists coming down the hill. They knew what the road had in store for me and urged me to press on. The trick with tasks like this, for me at least, is to look at the next couple of metres before me. Looking up at the way ahead offers no real help, it simply serves to show you how much work is left to be done. Taking one step at a time is a far more productive method. Although my legs will probably remind me of the trip in the morning, I completed the route at a reasonable pace and, of course, enjoyed the ride down the other side of Creech Hill, encouraging as I went, others who were making the reverse trip. The title of this blog, The Search For Enlightenment, in so many ways, documents my own path to Buddhahood, a path that can be just as steep and difficult as the road up Creech Hill. The way to progress along this long and winding path is exactly the same as getting to the top of the hill, one step at a time. The determination, perseverance and effort for both continue.